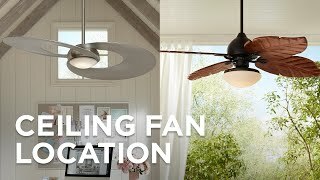 A brushed nickel finish ceiling fan with an energy efficient motor. Brushed nickel finish metal blades. 188 x 15 mm motor size. Fan height 11.6" ceiling to blade (with 6" downrod). Fan height 13.49" ceiling to bottom (with 6" downrod). I wanted a modern look yet damp rated. Price was good. You had what we needed at the best price. I like the modern look! Does this have a DC or AC motor? BEST ANSWER: This is not a DC motor ceiling fan. Does this fan have a light? BEST ANSWER: No - but I have added some other great options below you may like instead which do have a light option. No light. One reason we picked it. Great looking fan; gets many compliments. We have it on enclosed back porch that has plenty of recessed can type lights in ceiling. The fan does not come with a light. This fan does not have a light. Can it be mounted on sloped ceiling? 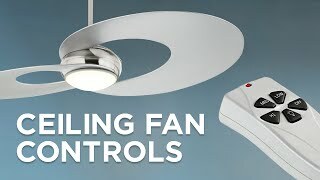 Can this fan be operated with existing on/off wall switch? Or does it have to use remote to turn on/off? BEST ANSWER: The ceiling fan includes a hardwire wall control. If your existing wall control is a speed fan control with 3 speed setting it will be okay to use. I wired ours to an existing on/off wall switch. The fan wall switch goes from off to on then 3 fan speeds, low, medium, high. No remote is required. It includes a replacement switch that operates the fan speed. Similar to a dimmer for a lightbulb. It has a four speed switch control to be installed in the wall. 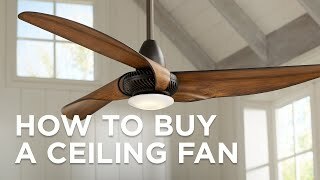 Do you have to use the 6" down rod .. can the fan be mounted without it to fit closer to the ceiling? I do not want to use any down rod, is that possible? BEST ANSWER: This design is not dual-mountable. The "dual mount" feature would provide the option of mounting the fan without a downrod where the fan sits semi-flush against the ceiling. 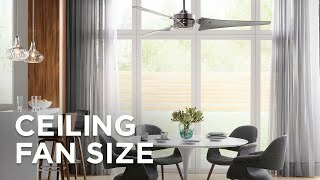 If you use the "low profile" filter option for our ceiling fan assortment, you will find the many dual-mountable options available. Unfortunately, you need to use the down rod. It's a good looking fan and performs well. Can you get a hand held remote to go with it? BEST ANSWER: To order a compatible remote control please contact one of our lighting specialists. 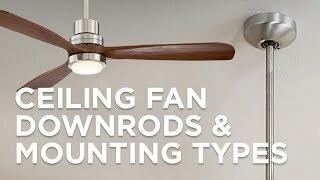 Do you have to use the 6" down rod .. can the fan be mounted without it to fit closer to the ceiling? BEST ANSWER: Hi - if you click on the "Customize This Fan" link on the product page you'll see all of the downrod options available. A 12-inch downrod is available there. Do you sell a matching 12' down rod? Really nice looking and works well. Perfect scale and update for the patio overhang. I absolutely love this fan! Is was an easy install.